PCI carries two Chimenea covers. The one featured here is the larger of the two options. Chimeneas made for outdoor placement need protection to prolong their lifetime of use and keep them in perfect form and function. PCI uses rich, super performing treated vinyl. It’s called Dura Gard vinyl, and it protects against moisture, wetness, UV rays, insects, animals and more. It’s 7 millimeters thick, and serves as the rugged outer protective shell. The other side of the cover is made with four ounces of compressed fleece. The fleece is laminated onto the back of the high quality vinyl for an inseparable pairing. 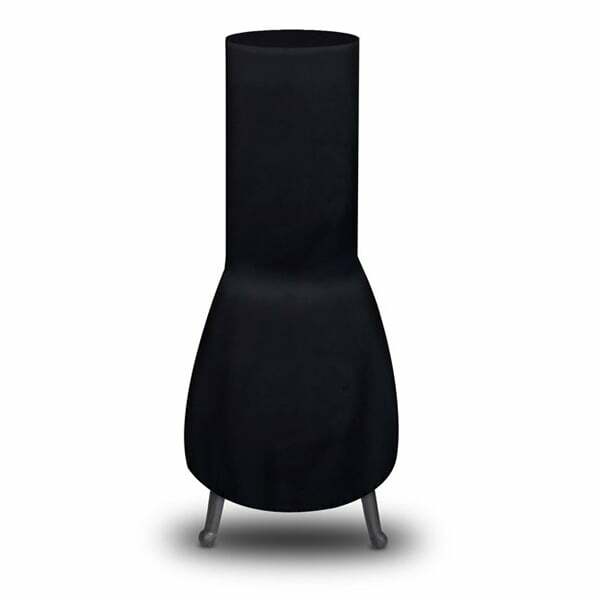 The fleece backing provides softness and prevents the chimenea from scratching or rubbing in storage or during non-use.